Pianist Bryan Nichols returned to his native Minnesota after studies at Iowa State and gigging in Chicago. A member of the 2004 edition of Betty Carter’s Jazz Ahead (“Jazz Stars of Tomorrow”), he performed at Kennedy Center in Washington, DC. 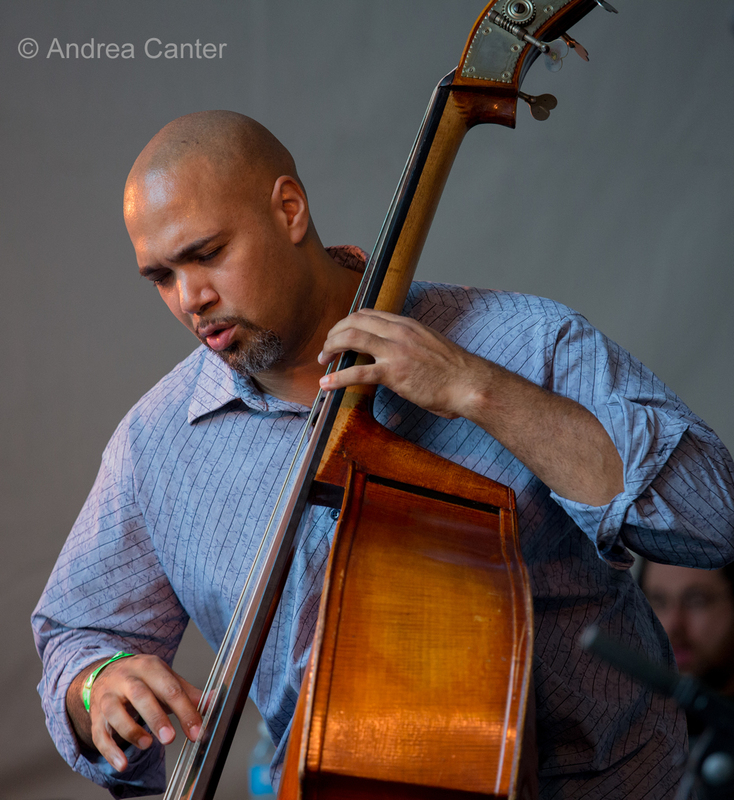 He’s played with Ari Brown, Maurice Brown, Von Freeman, and more, and has taught at the MacPhail Center for Music and University of Wisconsin-Eau Claire. 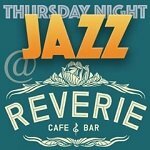 Locally Bryan is heard with his own trio, quintet and large ensemble, We Are Many; performs and tours with Dave King; and appears with other innovative artists including Zacc Harris, Chris Bates, JT Bates, and more. 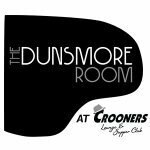 He’s a frequent duo performer on weekends at the Icehouse, often with bassist James Buckley. 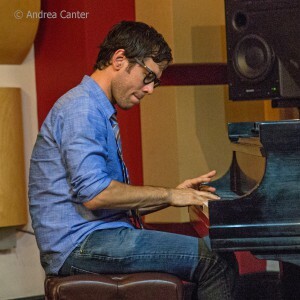 Bryan was a 2010 recipient of a McKnight grant and released Bright Places in 2011; he will perform solo on February 27 at the Winter Jazz Festival at Studio Z, previewing compositions from his upcoming solo release. 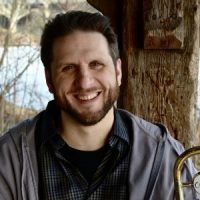 Saxman Brandon Wozniak previously lived and worked in New York City, toured with the Tommy Dorsey Orchestra, and earned his BA from Indiana University under the tutelage of David Baker. 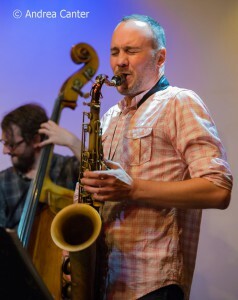 Since arriving in the Twin Cities in 2006, he has performed with local bands including the Atlantis Quartet, Red Five, Dave King Trucking Company, the Adam Meckler Quintet, the Bryan Nichols Quintet, Zacc Harris Quartet, and Vector Families; and in varying combinations with Adam Linz, Billy Peterson, Dean Magraw, Kenny Horst, Zacc Harris, Steve Kenny and more. 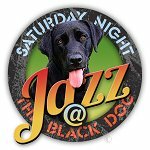 Brandon has performed with the Atrium Jazz Ensemble since it’s launch with the opening season of the Jazz in the Target Atrium series. 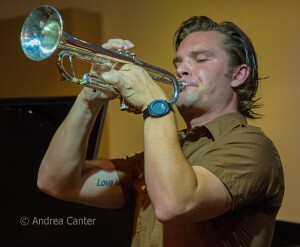 Trumpeter Jake Baldwin is already a veteran performer around the Twin Cities, just three years out of the New England Conservatory of Music where he studied with Jerry Bergonzi, Bob Moses, John McNeil, Joe Morris and Fred Hersch; before graduating he was runner-up in the jazz division of the National Trumpet Competition. After graduating from NEC, Jake moved back to the Twin Cities, working for the Harralson Trumpet company while building his creds on the local jazz scene. Those creds have been accumulating, with his own bands at such venues as the Dakota, Artists Quarter, Jazz Central, and beyond, and in other bands including the Twin Cities Latin Jazz Orchestra, Chomsky, Thomas Nordlund Group, Endeavors, Cory Healey’s Beautiful Sunshine Band, Ramtrack, and the McNasty Brass Band. Jake recently released his first album as leader, Ra Ra Ru. 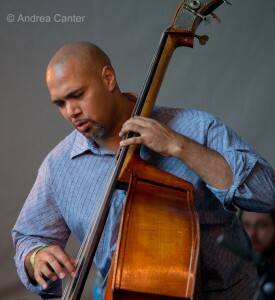 Jeff Bailey is well regarded as a bassist, composer, teacher and producer. He has performed with such local and international stars as Captain Jack McDuff, Craig Taborn, James Carter, Nachito Herrera, Eric Gravatt, Rodney Jones, Dave King, Brian Lynch, Wessel Anderson, Andrés Prado, Doug Little, James Moody, Ellen Lease and Pat Moriarty. 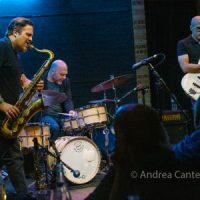 Beyond jazz, Jeff has also toured and performed with Keri Noble, Joey McIntyre (NKOTB), Tommy Barbarella (Prince), Charles Lazarus (Minnesota Orchestra), Reverend Billy Steele and more. 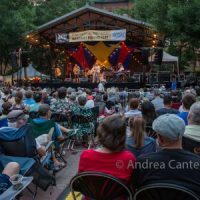 Jeff has also received accolades for producing a Minnesota Music Award-winning CD for Alicia Wiley, received a Best of the Twin Cities Award as a founding member of Moveable Feast, and a Minnesota Music Award nomination for best Bass Player of the Year. J.T. Bates is one of the busiest drummers in the Twin Cities. 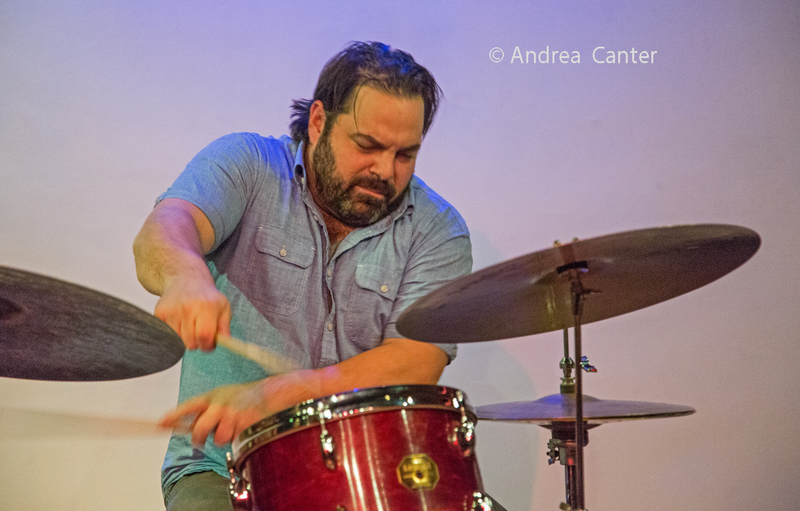 He was a member of Motion Poets and has worked with a variety of Latin, electronic, and experimental ensembles, including Low Blows, Zacc Harris Quartet, James Buckley Trio, Fat Kid Wednesdays, Bryan Nichols Quintet, Alpha Consumer, and The Pines. Noted Richard Brody in The New Yorker, “In free rhythm, his shimmering cymbals recall Sunny Murray’s work with Ayler; the tom-tom groove is like the one Ed Blackwell got with Coleman; and, when he plays on an ethereally introverted modernistic piece, he sounds like a one-man Art Ensemble of Chicago, ready to use anything for the right sound…” JT curates the Monday night “Jazz Implosion” at the Icehouse, which he brought to south Minneapolis after a number of years running the series in the Clown Lounge in St. Paul, making it the longest-running jazz series in the Twin Cities. Season Finale, April 28. Reserve your ticket now for the grand finale of Jazz in the Target Atrium’s second second season, when the largest version of the Atrium Jazz Ensemble to date performs all-original music from Jeremy Walker and Bryan Nichols. Musicians from the various editions of the AJE will come together for a jazz throwdown! The Target Atrium is located in Orchestra Hall at 1111 Nicollet Mall in downtown Minneapolis. For ticket availability for this concert, contact Ticket Services at 612-371-5656 or 1-800-292-4141.